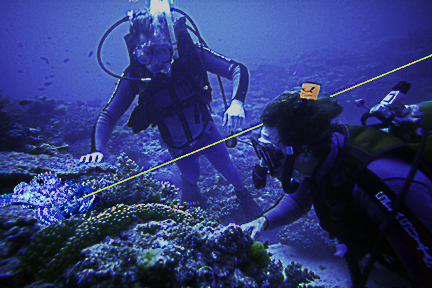 Sea Turtle Scuba, Inc. has been producing green lasers for professional and sport divers for many years. Experience and suggestions from our customers have created a continuing line of new and improved models over the years. Incorporating the shape of the green moray's oversize head and fin into the design of the Moray Laser is what makes it brighter than others in the same power class. No screw on front or rear caps to leak. Made from only 2 solid pieces of aircraft aluminum. 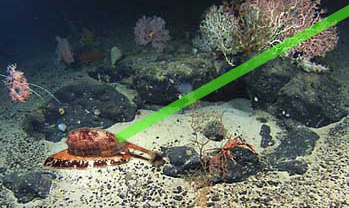 The green laser will place a bright green dot on whatever your dive buddy happens to be (simulated image of laser) looking at. 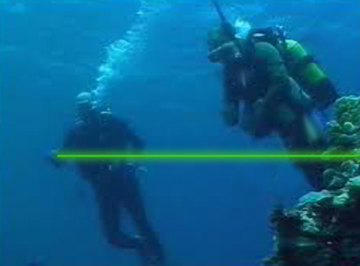 Or if he is in open water he will see the beam passing in front of him through the water. Attract wildlife. Just as a cat will follow a bright spot along the wall or floor, so will an otter or seal or many other kinds of mammals or fish follow this bright green spot. 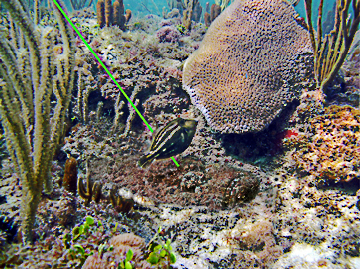 The bright green spot moving along the surface of a rock, a hard coral face or along the bottom attracts their attention the same as the light reflecting from the side of a delicious little fish with shiny scales. 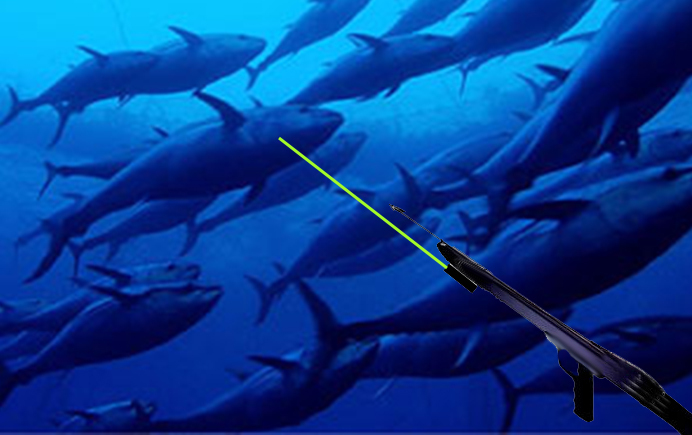 It's not even necessary to be interested in taking a picture to enjoy this feature of the green laser. It's great fun to watch a sea otter or seal chasing the green spot as you move the beam back and forth. A superior pointer for tour guides and general use because its rugged waterproof toughness makes it all the more durable for all around use. 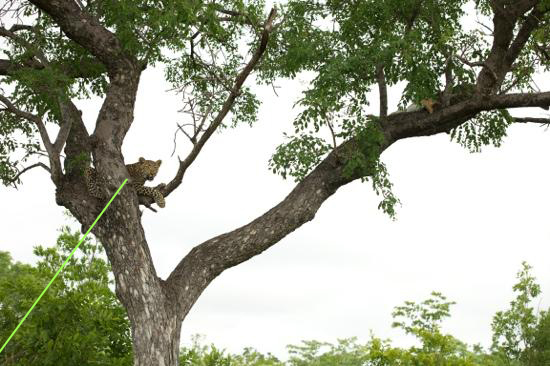 This leopard in the tree might not be seen by everyone in the group if not pointed out by the laser.